A convoy carrying the U.S. ambassador to Bangladesh was attacked by armed men in the capital city of Dhaka on Saturday evening. 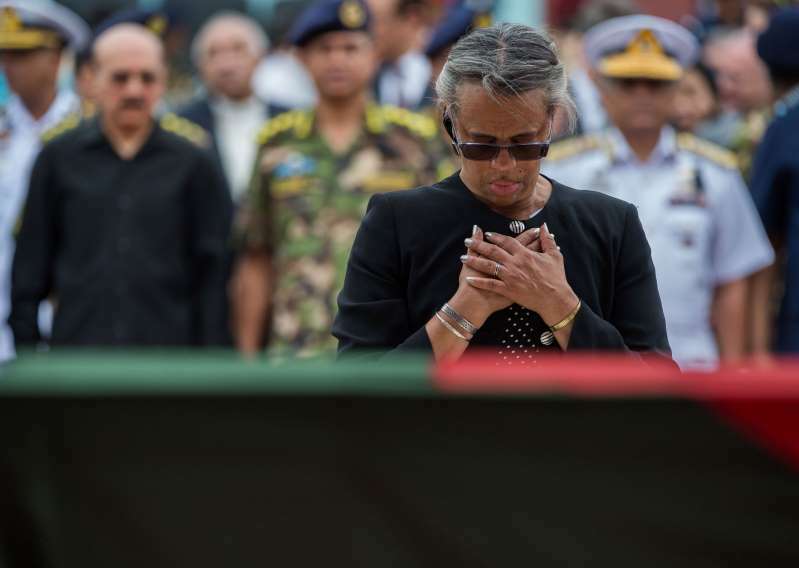 Although Ambassador Marcia Bernicat and her team escaped without injuries, two vehicles were damaged in the violence, according to the Dhaka Tribune. The U.S. embassy thanked local police for their quick response to stop the attackers. The attack came as thousands of students protested in the country, calling for safer roads. Demonstrations have turned violent. The BBC reported that at least 50 people had been injured on Saturday, and Agence France Presse (AFP) reported put the number at closer to 100. [post_ads]Political activists belonging to the country’s ruling party have been accused of beating protesters, and police fired rubber bullets and tear gas to disperse the crowds. “It was a peaceful rally but suddenly police fired tear gas shells aimed at us [that] left several injured," said Mohammad Atikur Rahman, one of the protesters, according to Al Jazeera. 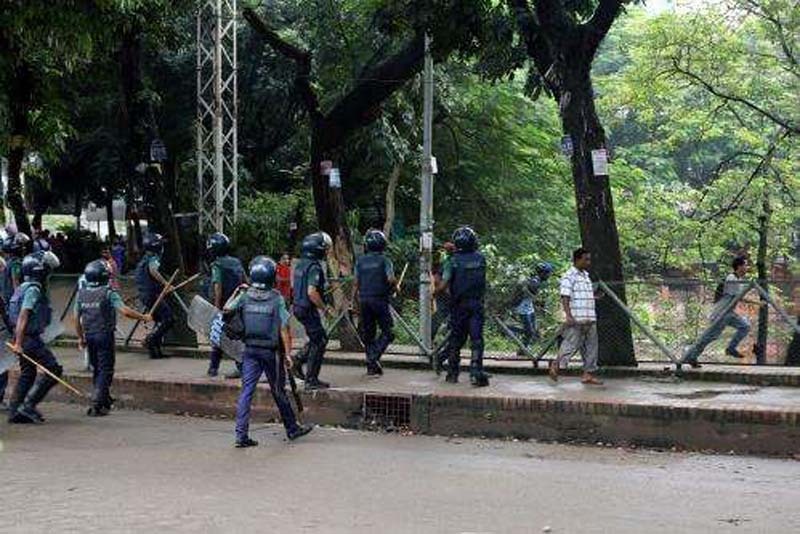 The U.S. embassy in Dhaka condemned the violence against protestors. "Nothing can justify the brutal attacks and violence over the weekend against the thousands of young people who have been peacefully exercising their democratic rights," the embassy said in an official statement posted to Facebook, prior to the attack on the ambassador’s convoy. "The peaceful demonstrations of the past week in favour of better vehicle and road safety, led by students and school children across Bangladesh, have united and captured the imagination of the whole country,” the embassy said. The demonstrations began after two students were killed by a speeding bus, leading to calls for major driving and traffic reforms. Mobile internet has also been cut by the government in parts of the country, in an effort to quell the spread of demonstrations outside the Dhaka. 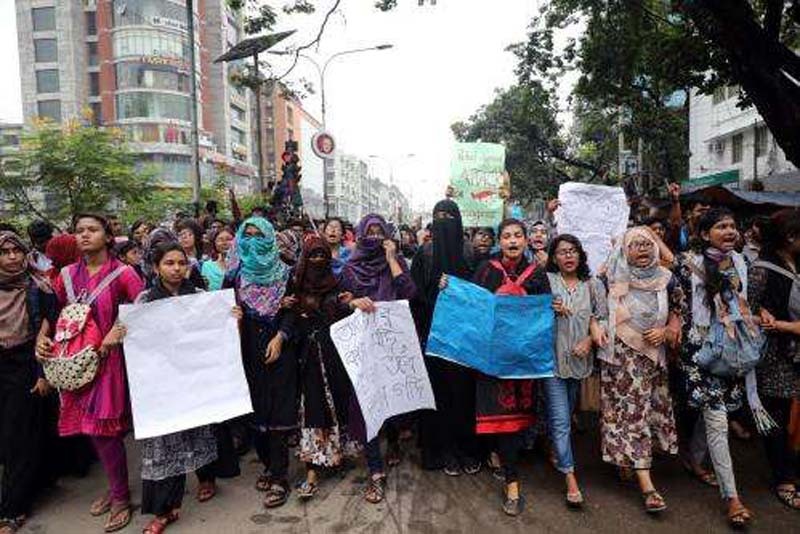 Warning that the protests could be undermined by violence, Hasina urged parents to keep their children home as the demonstrations entered an eighth day on Sunday. “I request all guardians and parents to keep their children at home. Whatever they have done is enough," she said, Al Jazeera reported. "Our police force has started a week-long drive to bring discipline on the roads." However, local activists have said the protesters have concerns beyond road safety. Shahidul Alam, a social activist, pointed to "the gagging of the media, the extrajudicial killings, disappearings, bribery and corruption,” according to Al Jazeera. "Today the police specifically asked for help from armed goons to combat unarmed students demanding safe roads," he alleged. "The government has miscalculated. It thought that fear and repression would be enough but you cannot tame an entire nation in this manner."